PSB Imagine Mini LCR’s, providing a rich, dynamic and lifelike Audio/Visual experience. 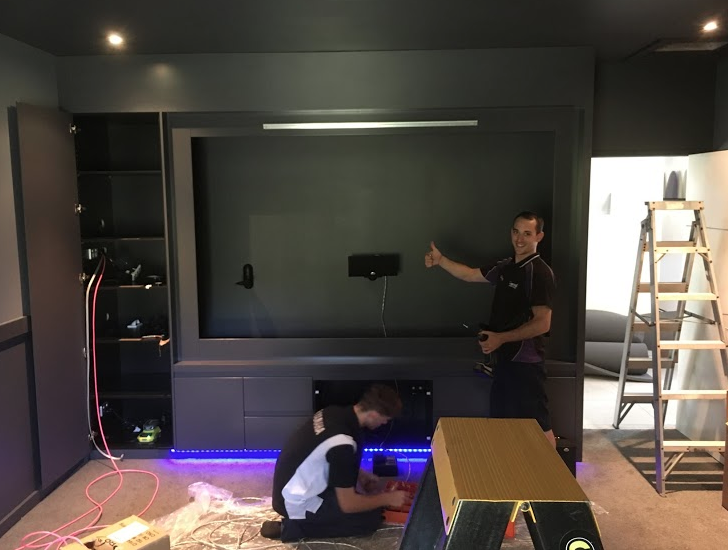 All speaker channels have been placed at ear level for optimum Atmos effect, utilising a powerful, yet smooth sounding subwoofer hidden behind the custom built cabinetry. Using 11 speakers and one subwoofer in total. 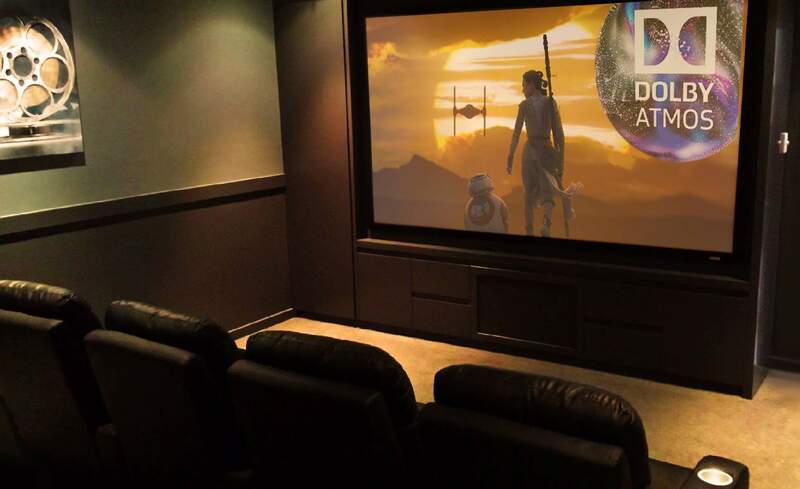 This 7.1.4 Dolby Atmos & DTS:X system is the future of Home Theatre & a project that Universal Home Theatre are proud to have been involved in the design & installation process.